If you know me, you know that I love history. I have a lot of really interesting antiques, postcards, and photographs that I have collected over the years. What good is a collection, however, if you can’t share it? This is why I have decided to do a weekly Throwback Thursday (#TBT) history post. I hope you love reading these posts as much as I enjoy creating them! 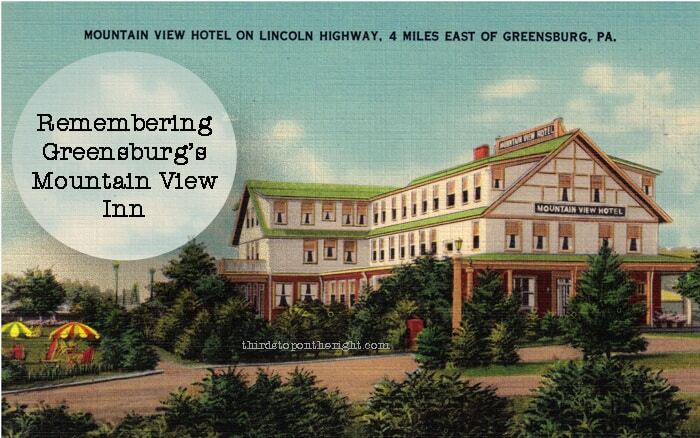 This week we are taking a look at what was once Mountain View Inn in Greensburg, PA.
Every so often there are those historic losses that really break your heart. Especially when their destruction is needless and the underlying reason has to do with money. One of those losses was when the former Mountain View Inn was torn down. The inn was originally built on a 105-acre farm and boasted 20 guest rooms and a gas station. During the Great Depression, the original owners struggled and the inn eventually went bankrupt and was taken over by First National Bank in Greensburg. 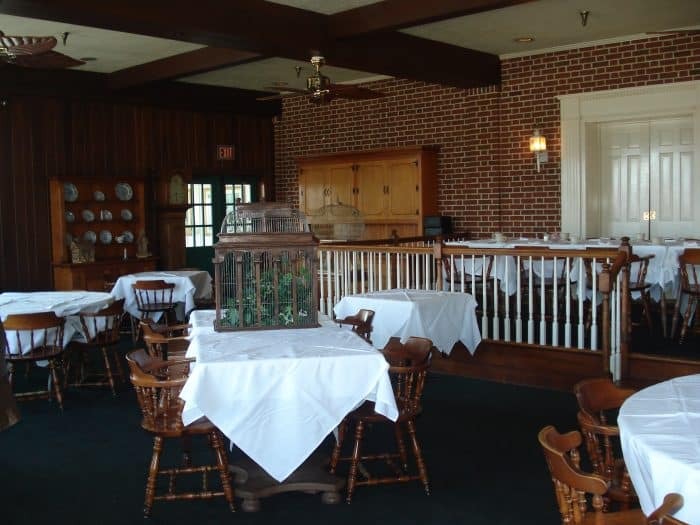 In 1940, Vance Booher, Sr. and his brother, Ned, purchased the inn and took over its operation. Later, Vance’s son, also named Vance, and his wife Vicki Booher too over the inn’s operation. The inn was situated facing old Route 30, which was an unpaved two-lane road when the inn was built. After current Route 30 was constructed the inn straddled both roads, although the doors faced old Route 30 until the day it closed. The first of two new wings, the Mt. Laurel Wing, was built in the 1980s. The inn also featured an above-ground Olympic-sized swimming pool. It was a popular swimming spot until the 1960s when blasting for the new Route 30 cracked the pool and it was removed. An in-ground pool was added later, however it wasn’t as large. 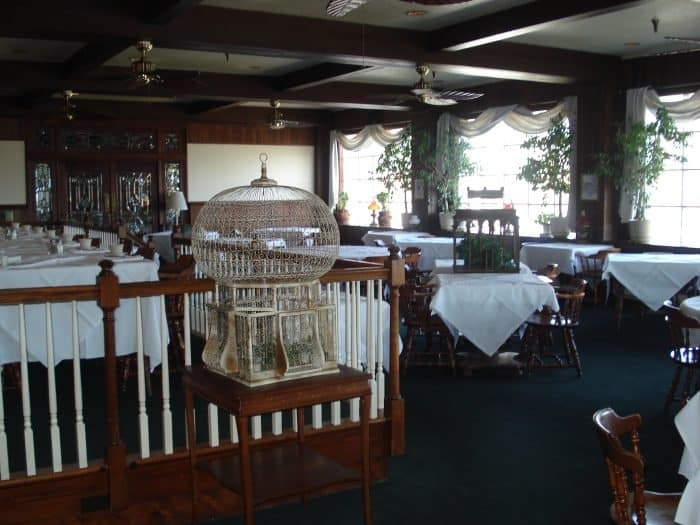 In 1998 the Boohers added the Loyalhanna wing to the hotel as well as a terrace off the main dining room. The inn offered entertainment such as The Vogues and Johnny Angel and the Halos. In addition, they hosted events such as antiques, toy, and dollhouse shows. Speaking of antiques and collections, the inn had a unique collection of period antiques (I remember their typewriter collection fondly) as well as the largest collection of single-malt scotch in Pennsylvania and a 3,000-bottle wine cellar. Quite a few famous guests also graced the halls of Mt. 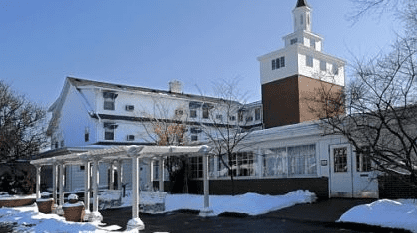 View Inn, including Presidents John F. Kennedy, Richard Nixon, and Ronald Reagan; entertainers such as Harrison Ford, Guy Lombardo, and Bernadette Peters; as well as Arnold Palmer, The Rolling Stones, Tony Bennet, Three Dog Night, and even the Dalai Lama. In 2009, First Commonwealth Bank refused to renew a revolving line of credit the owners needed to get them through the industry’s four slowest months. 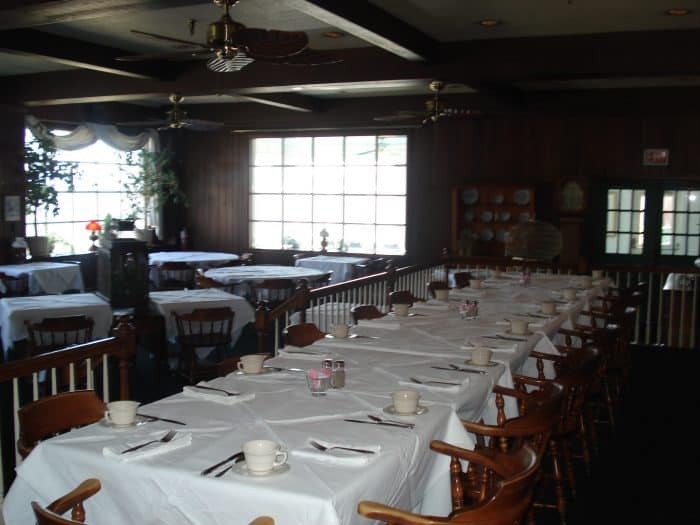 Without the funds they needed, the inn was forced to close and the bank foreclosed. 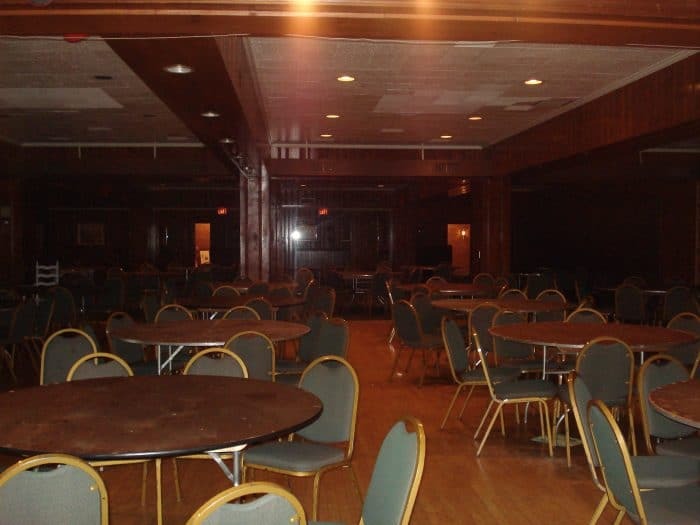 Sadly, after several interested buyers failed to work out a group of investors (Jada View, LLC) bought the hotel in August 2009 and after being stripped of all of its architectural elements and having its antiques auctioned off, the older part of the inn was demolished in December 2009 — less than a year after closing. 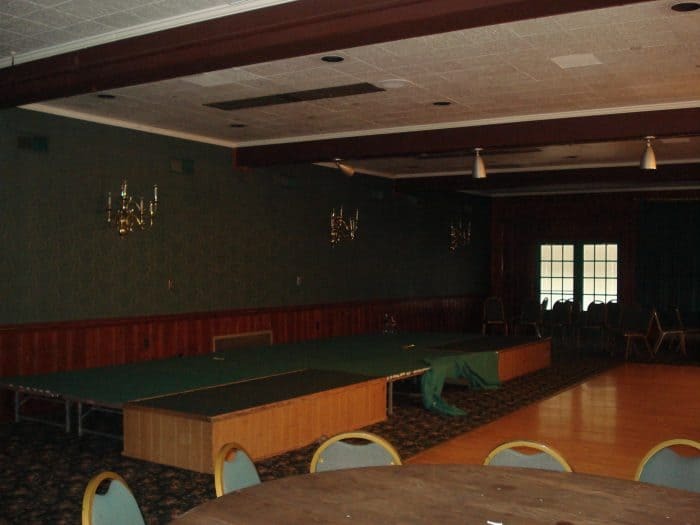 Although the developers site the inn being in poor condition for the reason that they closed it, the true reason was most likely that they felt that they could get more money for the property by razing the former Historic Hotel of America and putting in some sort of commercial monstrosity. The original plan for the property was to build a strip shopping center on the property. The Unity Township officials denied that plan. The developers then proposed a gas station, which after several different proposals, was also denied. (I applaud you supervisors!) Supervisors also banned gas stations and fast food restaurants on that, and other intersections in the township. This is a panorama looking at the back section of the Inn at Mountain View. It was taken standing where the inground pool used to be. The last hotel wing to be added still exists as the Inn at Mountain View. 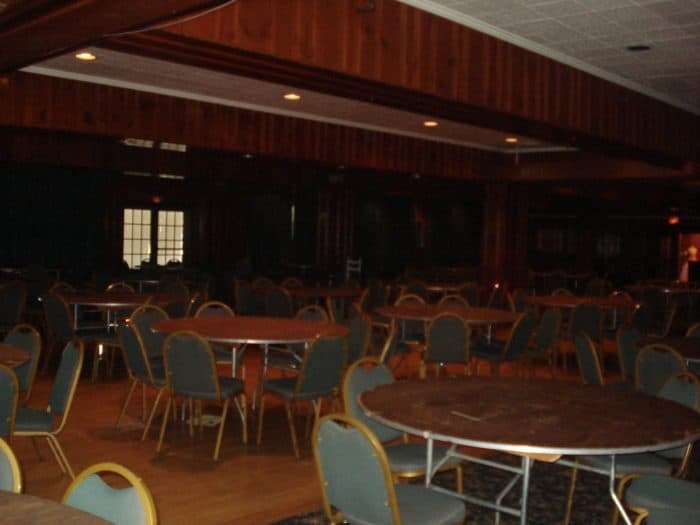 However, the new owners had to build a new lobby and no longer have a dining room or swimming pool since those were torn down with the old inn. I had a chance to speak to the Inn at Mountain View owners back in 2010 in which they told me that they had attempted to buy the older part of the inn too, but the developers would not sell it to them. 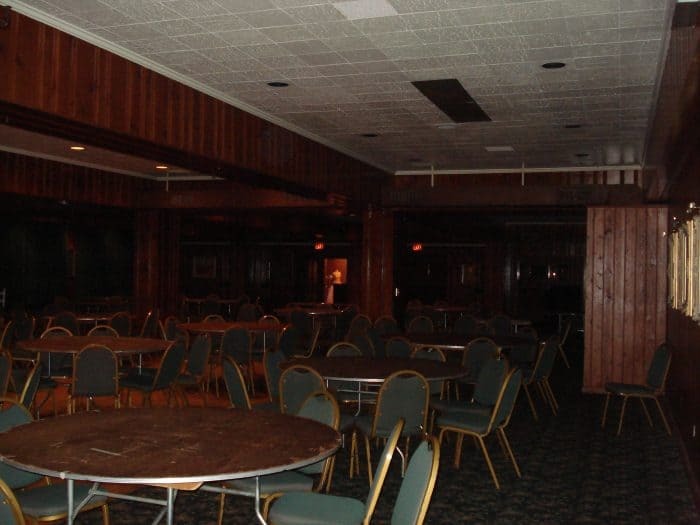 Here are a few pictures I took of the main dining room as well as the sunroom dining room back in about 2007. I just wish I had taken more at the time. This is a great blog. I’m saddened to see what became of the inn. I proposed to my wife there in the dinning room and would of loved to take my daughter to the spot where her parents were engaged. Thanks for the old pictures. My parents also got married here. In fact, the reason that I had taken those inside pictures was that I was planning on having my own wedding there but ended up calling off the engagement. Funny thing is, the night that we were going to have the wedding, lightening struck the cupola. I think it must have been a sign from God that the wedding would have been a bad idea! I worked there for 12 years, and a few of your facts are wrong, but I agree with the final statement about Greed, and I hope those men end up losing money on this property, because they took more from our community than any dollar amount they could of gained. If it’s really all about money, I hope they lose a Lot of it on this one! Hi Jeff! Which facts are wrong? I was just going by what the newspapers had said, but I would love to be able to correct them. Hi Rachel. Very nice piece of work and far more accurate than many news accounts. As Jeffrey (one of the finest employees and managers we ever had!) 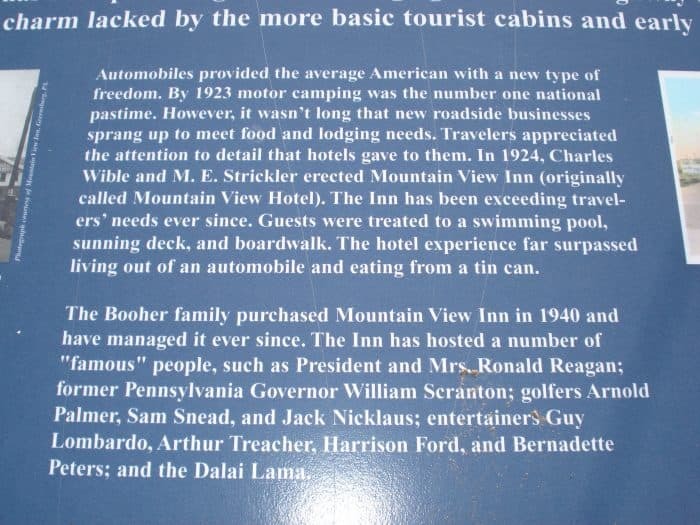 noted there are a couple things to correct but nothing really major: The Inn was bought in 1940 by Vance Sr, his wife Helen and sons Vance Jr and Edward (Ned). Collateral was stock of 1st National Bank of Greensburg (later Southwest Bank, and then in the ultimate irony, the merged Southwest/First Commonwealth). My family, Vance 3rd, Vicki, Douglas, Jonathan and Erik took over on my Father’s passing in June 1983. Our first addition was the Mountain Laurel Wing in 1985. This is the 2-story building still remaining. The larger building remaining is the Loyalhanna Wing built in 1997. The original pool was built in 1925, one year after the Hotel in 1924. 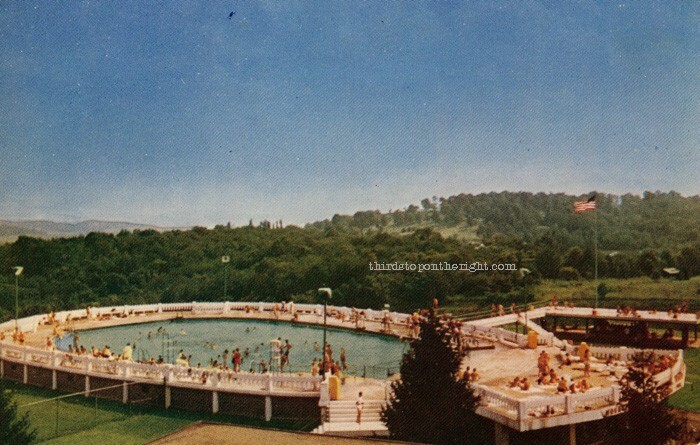 The pool had to be torn down in 1976. Your reasons are accurate – though the highway was built in the 50’s not the 60’s. The rest is pretty accurate – though the Inn did not go through Foreclosure. The developers did cite poor condition but we were fully up to code and well-maintained always. 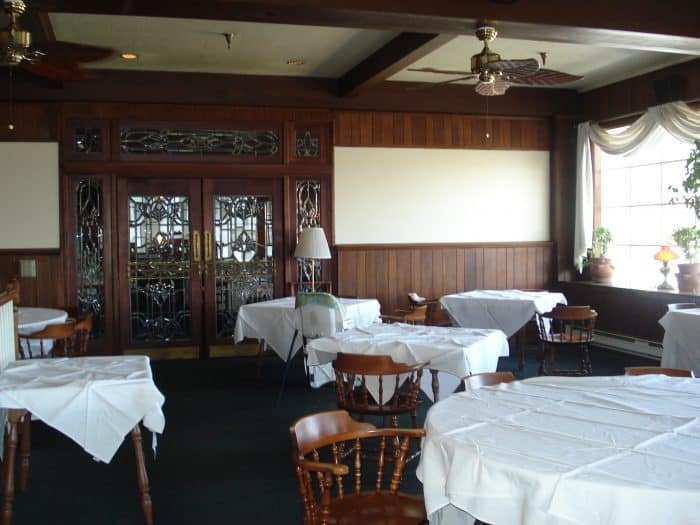 (As you allude, they probably thought they could get more if they tore it down) Some of those “condition” issues were just grandfathered – such as narrow hallways in the original Inn. I agree completely that a regional treasure was unnecessarily destroyed. Banks closed down many businesses in that recession that could have been save with just a bit of creativity. Life goes on for us all and we have to pick ourselves up and begin anew. For me and for my sons it has meant a new career in Real Estate. And we will always have our cherished memories – great friends, wonderful guests, the finest staff ever (who truly cared about making guests feel welcome) many photos and so much more. It will live a lot longer in those memories. I worked there from 1980-90 and then again from 2000 and officially bartended for the last event held before the doors were closed for good. I go back a long way, worked with Bill Booher and Ned Booher and then directly with Bill’s son and daughter-in-law Vance and Vicki Booher. None of this should ever have happened. You are correct in saying Greed. What a shame and unfortunely so many people’s livelihoods were destroyed over greed, people that only thought about themselves and didn’t care what it did to the community! Oh and I worked with Jeffrey Trout as well. An amazing person! 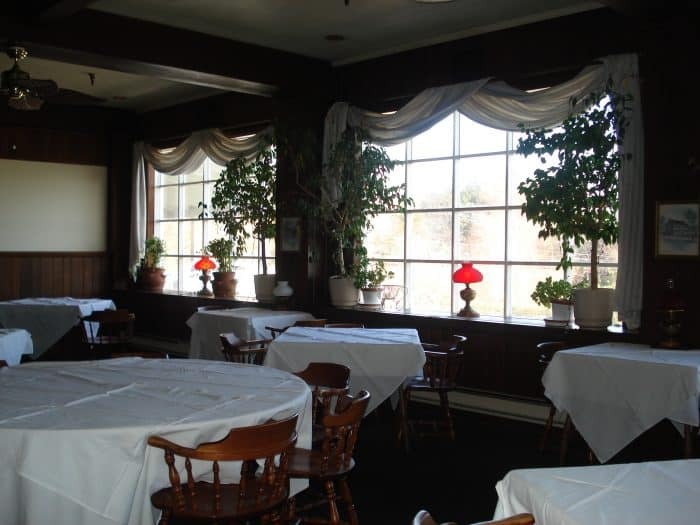 Thank you for the photos and for writing about Mountain View Inn. Though its ending was sad, the good times will shine forever in my memory. Hi Rachel – I loved reading your article & seeing the pictures brought back Kant fond memories. 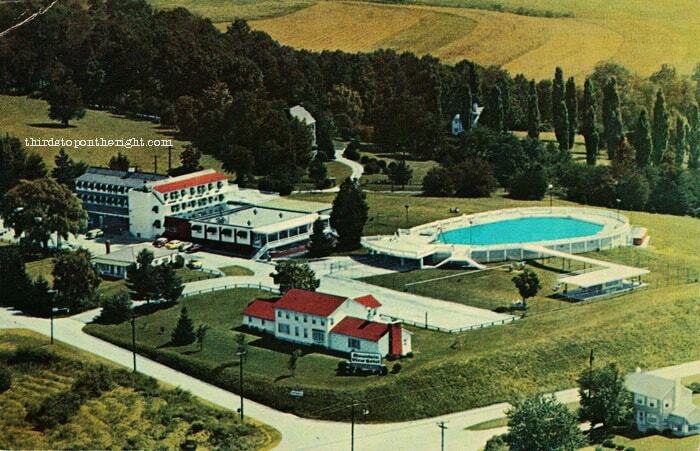 Mountain View was the site of my first “official” vacation in 1960 & my parents told me I loved the pool! My parents, and eventually my own family, frequented the Inn before the final wheels were set in motion. My husband even had a surprise 40th birthday for me there in 2000. The antiques, hallways, gift shop, views (?) ambience, etc. are forever engraned in my being. I loved the old pictures on the walls, the green carpeting in the main 1st floor ladies bathroom (with botanical print pictures $ wood paneling.) How I would have loved to catty on the family traditions with my own four children, who have now grown & moved out of our area to begin their lives. Thank you so much for sharing your stories & memories with us. Do you know where there are any other pictures or antiques from our original Mountain View? I remember a furniture store on the corner of Route 30? Good heavens, I should have checked for errors before sending this to you!!! I also have fond memories of the Inn! My family moved to Mt View area in 1968.oWe lived off Carney Road. 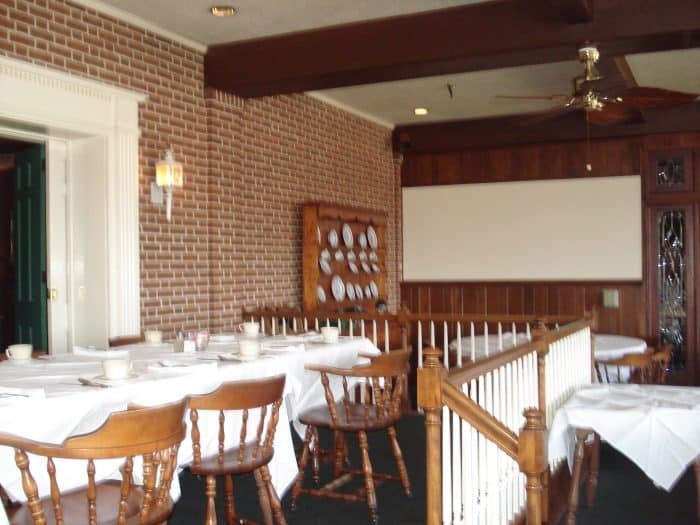 Our home was across from the Inn.We had many functions at the Inn, including Sunday home style dinners which we walked from our church Charter Oak Methodist across the parking lot.I remember at night being able to see the cupola lit up from our dining room. I too feel it could have been save! We enjoyed our first wedding anniversary at the Inn, piano music and a great dinner. We also went for the antiques event a few times. Outstanding items from New York were on display. I’ll never forget the large floor to ceiling black carved furniture sized music box. See wikipedia for Music_box. Some were called the Symphonium, others were called the Concert Regina Music Box machine. I remember the inn from when I stayed there many times in the 60’s with my parents That was 50 years ago, in the heyday. I can close my eyes and remember swimming in the pool. It seemed so massive at the time [probably because I was only 8 years old]. Awesome memories. Was just directed to this blog. I have some very fond memories of Mountain View in the 1950’s, and then in the 1970’s. When we could get there, we swam in the pool. When we were moving to Harrisburg in Nov. 1958, Miss Edna McFarland (Vice Principal, GHS) took the family to dinner as a farewell. MAY have been the first time I had dinner there, and it was a lovely evening. Much later, my husband and I, and our first son, stayed there along with my parents (Art and Wilma Glenn), and my sister (Helen (Glenn) Cook and her family at Thanksgiving. I THINK that was 1975. I THINK my Dad went to Kiwanis meetings there for some years. Funny, but I always thought Mr. Booher’s first name was VInce, not Vance!